Community college enrollment is down nationwide. From an economist’s view, the explanation is simple: Readily available, well-paying jobs draw students of all ages away from colleges and into the workforce. Economists suggest that during periods of strong economic growth, more people who do go to college will actually focus on longer-term degrees – enrolling in four-year schools at a higher rate, on average, than community colleges. Better financial times also reduce the appeal of lower tuition rates typically found at community colleges as parents may be more willing to spring for a bigger school when the family has good economic confidence. All of that equals declining enrollment when the nation experiences a strong economy and low unemployment. Nationally, community colleges have been dealing with steadily declining enrollments since 2010 – when the recession had mostly abated and unemployment numbers began to tick upward. Administration officials hope that with the efficiency generated through strategic budget tightening, more in-demand, rapidly growing programs can be developed. 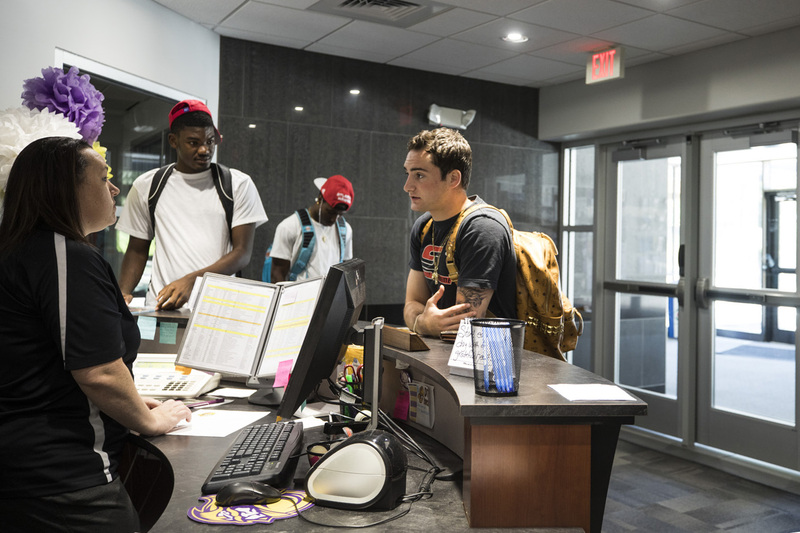 Officials at DC3 are viewing the dip in enrollment as “a huge opportunity to recalibrate our focus on recruiting,” said Beverly Temaat, vice president of student affairs at DC3. Lewis Mize, director of enrollment management at DC3, said the college is putting some much-needed renewed attention on Eastern Kansas. Mize said the perceived competition from larger schools on the other side of the state led to decreased emphasis on recruiting from that area – resulting in predictably low numbers of students from eastern Kansas. Mize said admission reps and recruiters from the college will have an increased presence at individual high schools and career and tech fairs across the region – reaching out not only to eastern Kansas, but into Texas, Oklahoma and eastern Colorado as well. Temaat said the college will be getting back to tried-and-true recruiting procedures that just a few years ago resulted in the highest three-year stretch of enrollment increases in the history of the school. 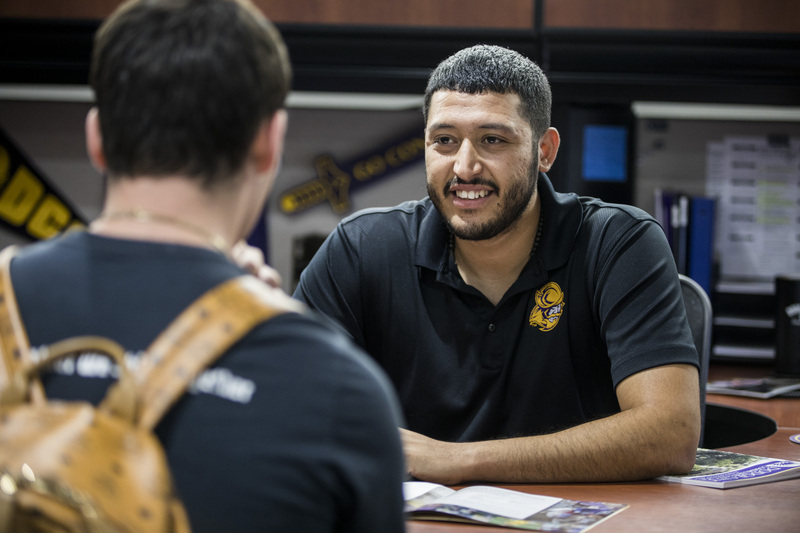 The downtick in enrollment at DC3 is a similar story to colleges all over the country – it’s mainly driven by lower numbers from students over the age of 22. During economic upswings, students – especially non-traditional students – may not feel the economic pressure to obtain short-term technical training or credentials available at most community colleges. On the opposite end of the age spectrum, concurrent enrollment of high school students at DC3 is actually higher than last year, and administrators are evaluating tech programs to better match the educational desires of those motivated students. Nolte and school officials understand that transient enrollment declines don’t call for kneejerk reactions, but rather deliberate, long-term planning that acknowledges a transforming job market so that the school’s enrollment does not remain tied to the vagaries of the American economy. Updated data from the Kansas Board of regents shows that Kansas community colleges are reflecting nationwide trends. Enrollment is lower across the board at all but a handful of the state’s 19 community colleges. Overall, community college enrollment is down 2.6 percent across the state. Enrollment is flat or declining across Kansas higher education. Even the University of Kansas has lower enrollment this fall, according to the Board of Regents. Statewide, enrollment at four-year universities ticked up less than one-quarter of one percent. According to the National Student Clearinghouse Research Center, in spring 2018, overall postsecondary enrollment declined by one percent from the previous spring. The suspension of the college’s helicopter programs also has an obvious effect on enrollment figures. Officials are working with the Veteran’s Administration and outside providers to reinstitute the school’s pilot program, and are optimistic that details will be worked out in the near future. Officials from DC3 say that simply offering more programs is not the way to go. The administration has in the recent past eliminated some programs, but officials point out that the school was paying faculty and staff to offer classes with one or two students enrolled, so their elimination did not significantly reduce head count.